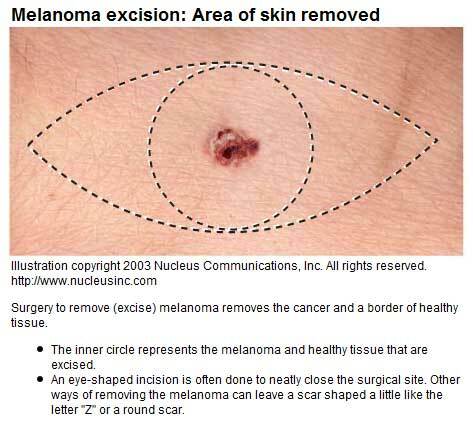 After surgery to remove a melanoma, the skin may be closed with stitches for a small excision. If the excision was large, a skin graft may be needed. 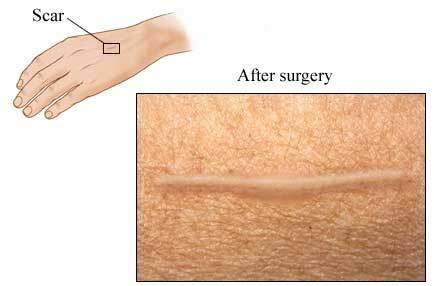 This picture below shows an example of the usual shape of the scar after surgery to remove a small melanoma.